Students, faculty, and staff gathered for a night to play a live-action version of the game Clue on Nov. 2 in the Kirby Ballroom from 7-10 p.m. The goal of the game was to discover who murdered the victim, the murderer's motive for the crime, the location that it happened, and what weapon was used for the act. 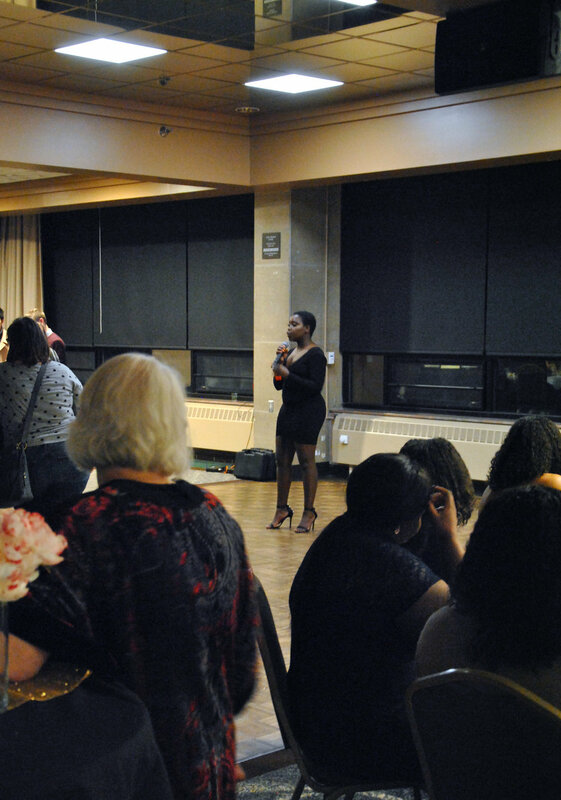 The event, “Murder Mystery-Kirby Manor: A dinner to die for,” was hosted by BSA and was their fundraising event of the semester. During the week of Murder Mystery, BSA had been tabling in Kirby selling tickets for $5, and the tickets had cost $10 for the people who arrived at the doors of the event. The game consisted of 16 main characters with the rest of the players also acting as party guests, each with a name tag that displayed their alias for the mysterious evening. Along with the set of characters, three different phases marked different turning points for the mystery to unfold: The first round was a social hour for the dinner guests to mingle and share the clues they were each given; The second round was when the murder took place, and the guests discovered London’s body after she ran into the room screaming; The third round revealed the truth about the murderer, the motive, location and weapon used for the crime. Many players became invested with the roles they had created for themselves. So, when Nyamwaya said to the crowd, “The tea is hot. The tea is going to be spilled. Who wants to know who killed London?” cheering erupted amongst the players. Two of the players were first-year students Grace Aspenson and Sarah Dvoracek. Aspenson’s roommate, Dvoracek, agreed, and both said they would happily go to this event if offered again in the future. “It’s a lot of fun and creative,” Dvoracek said. However, not all of the players were enthusiastic about the “challenging” clues. Julianna Epstein, a student at UMD and a dinner guest at the party, found the event interesting but possibly too challenging. Second-year student, Mya Corbin, had a similar reaction. Although there were mixed reactions among the dinner guests, all the clues came together in the final round. It was discovered that Azrin Awal’s character, the baker, “killed” London with a candlestick in the library. Murder Mystery replaced BSA’s former fundraiser, Date-A-Palooza, and Nov. 2 marked the debut of this new event. More information of past BSA’s events can be found on their Facebook.